The Navigation Menu Editor plugin is one of the most visible part of the LINCHPIN social intranet. It offers a user specific navigation, based on the Custom User Profile Plugin. Depending on language, location, department, projects or other criteria, the navigation menu will adjust accordingly. Martin Seibert and Eric Klein give a brief introduction to the Navigation Menu Editor plugin in this video. 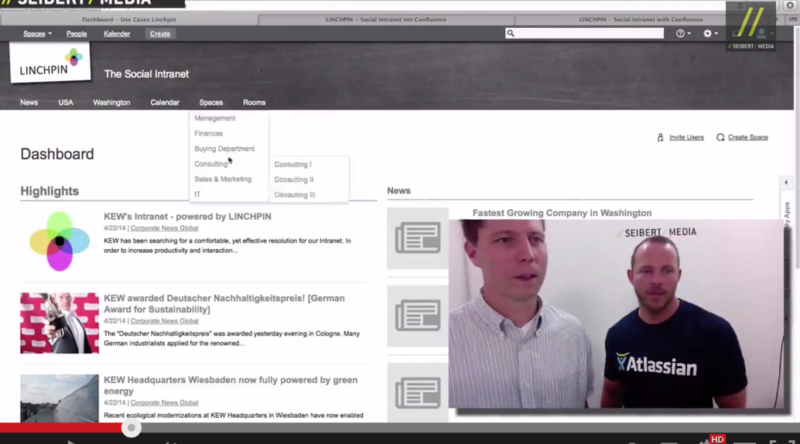 Martin Seibert and Eric Klein present the news module within the LINCHPIN suite. The module will cater to your personal needs for information, as it allows you to subscribe to different news channels. Your personalized news will then appear on your dashboard. 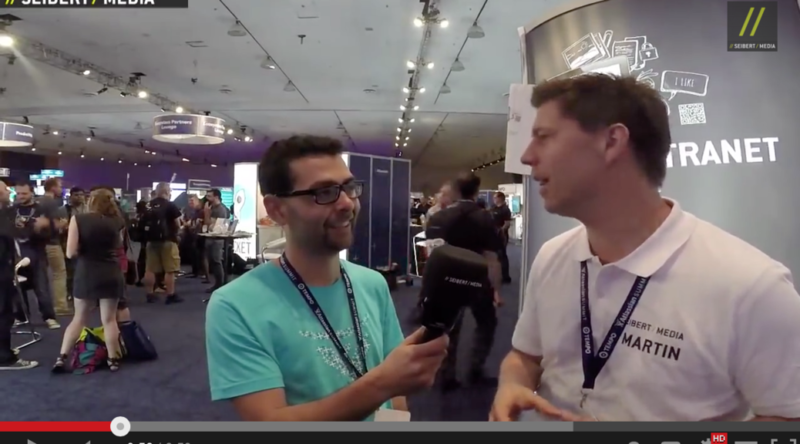 As a follow up on last year’s surprise interview, Sherif Mansour, Atlassian Confluence product manager, talks with Martin Seibert about his Summit experience. 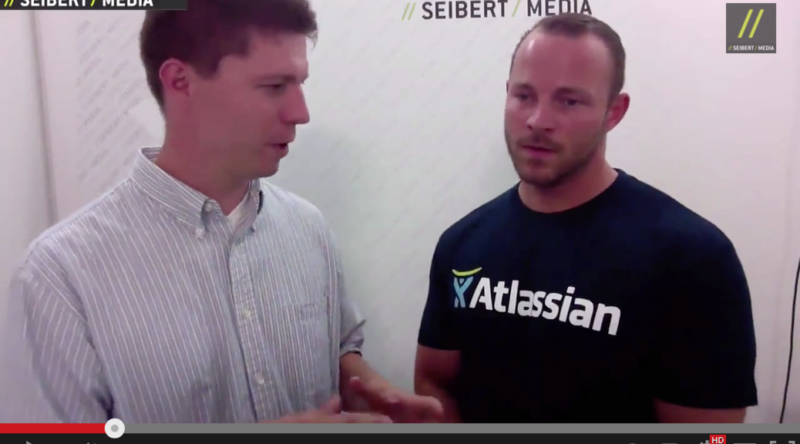 Martin liked the road map, that Atlassian gave, announcing live editing and in line editing in Confluence in a future release. He also enjoys the integration of JIRA, Bamboo, and Stash with Confluence.